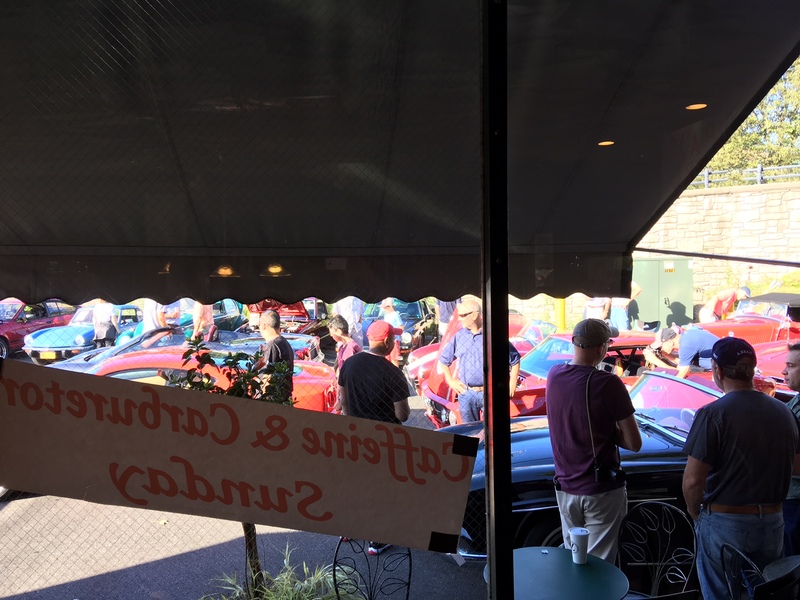 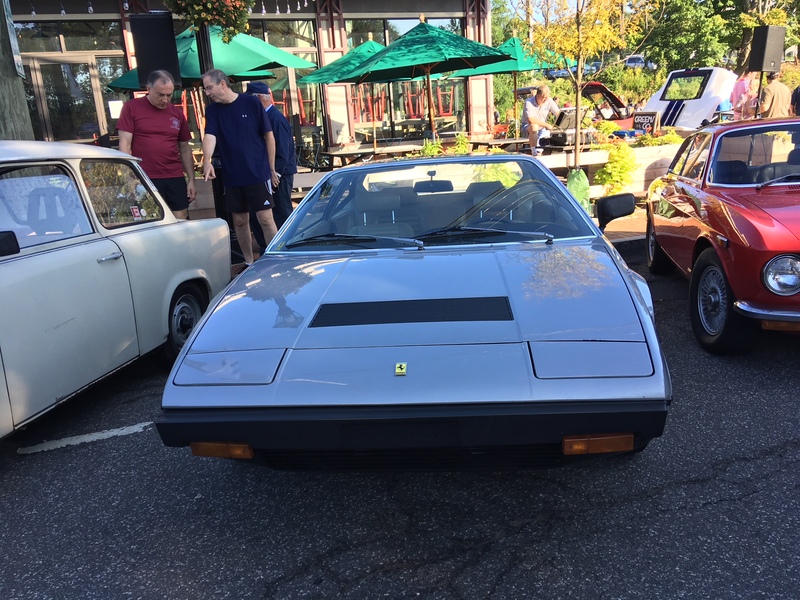 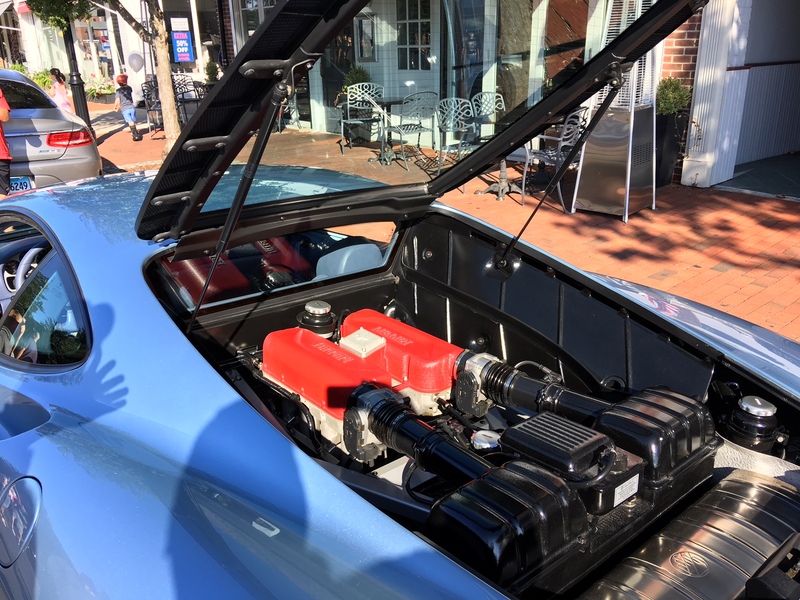 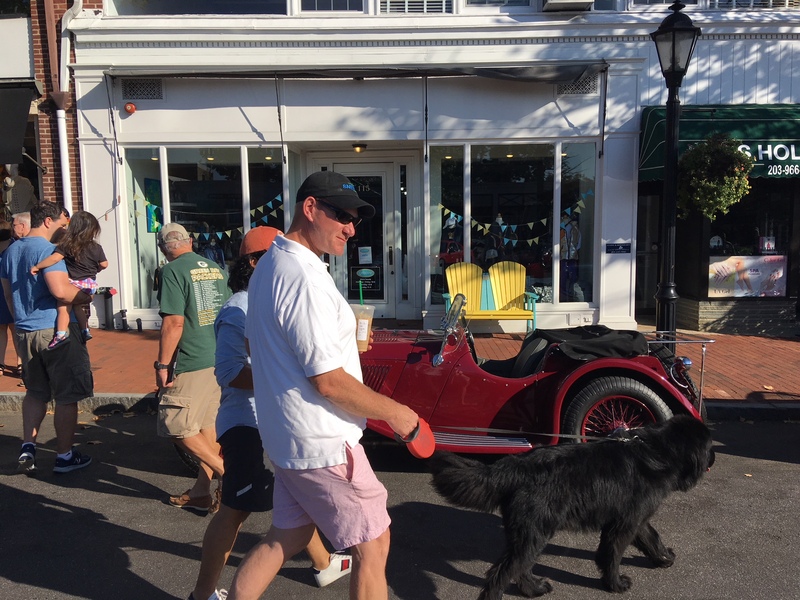 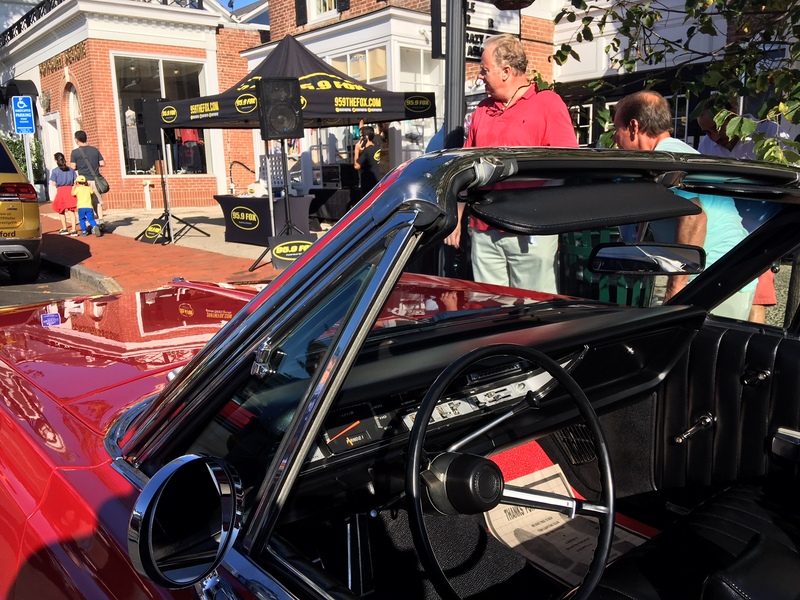 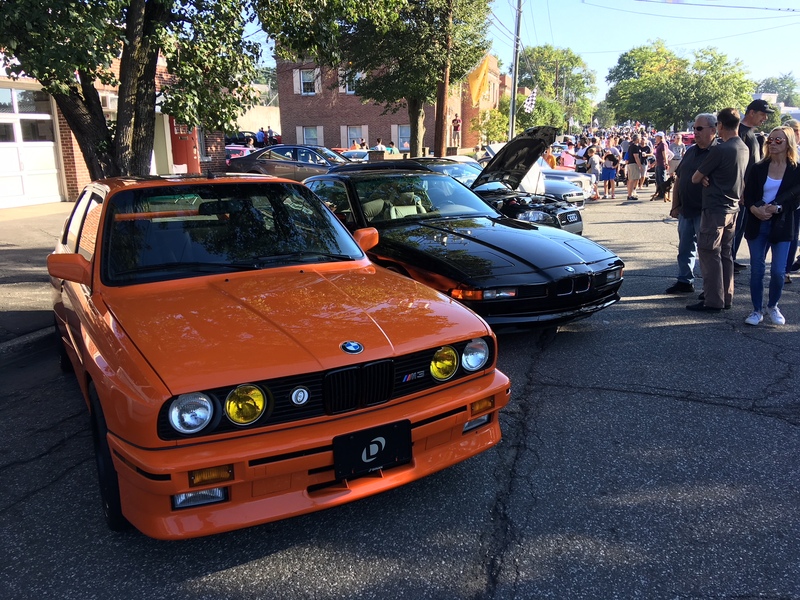 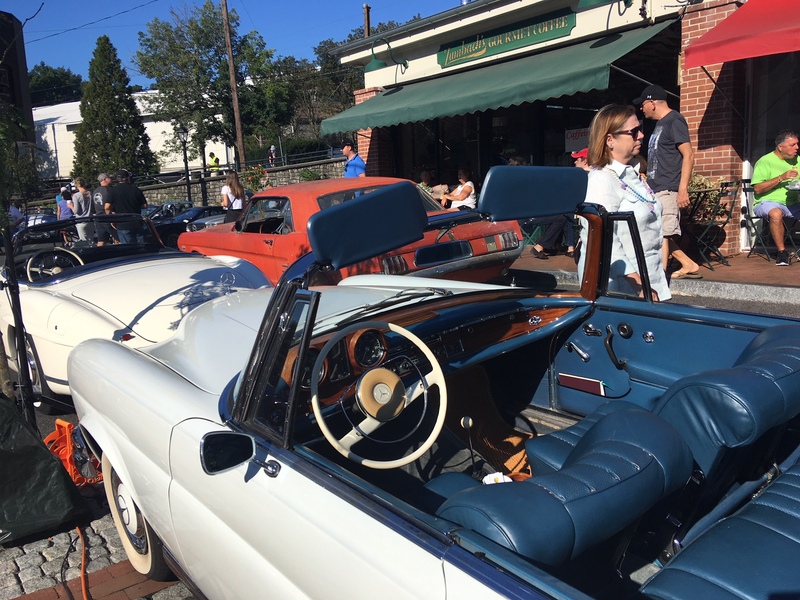 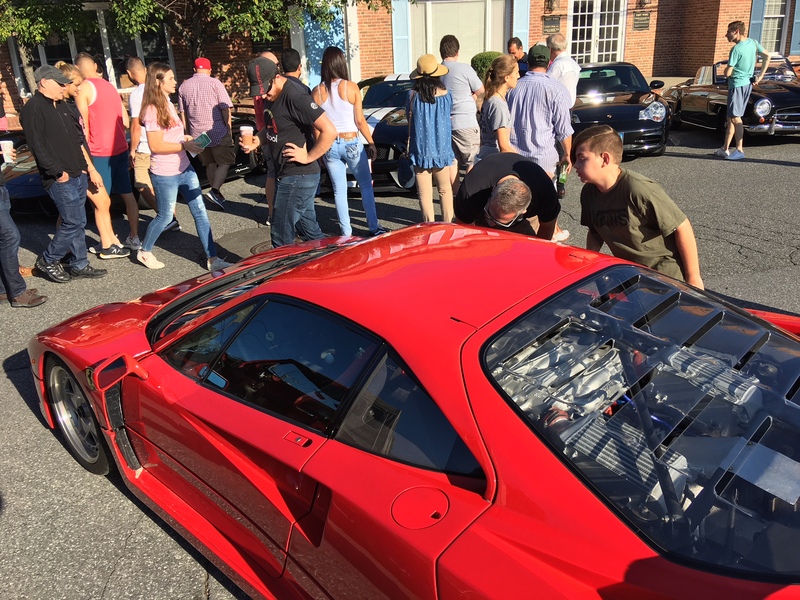 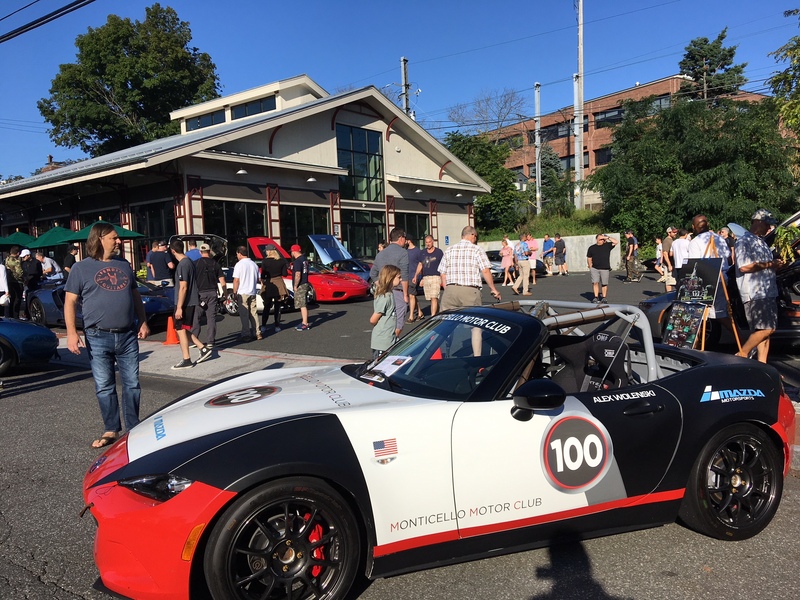 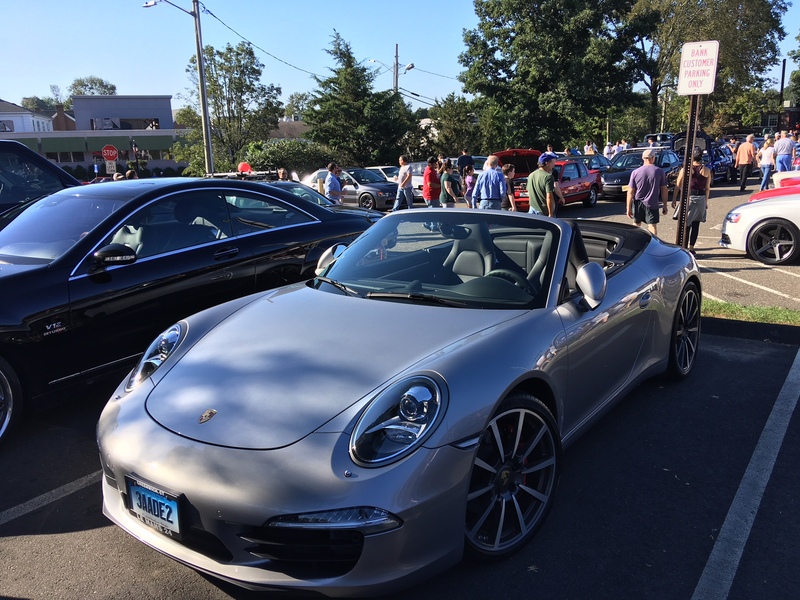 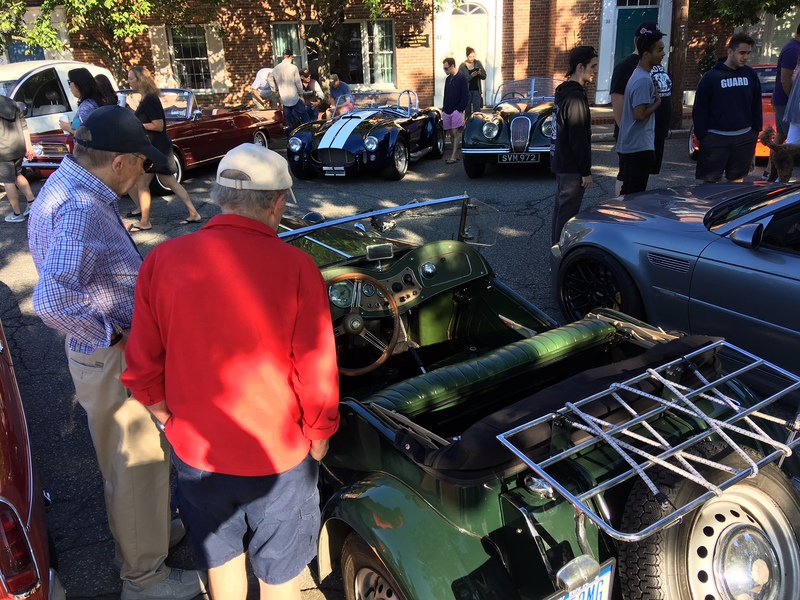 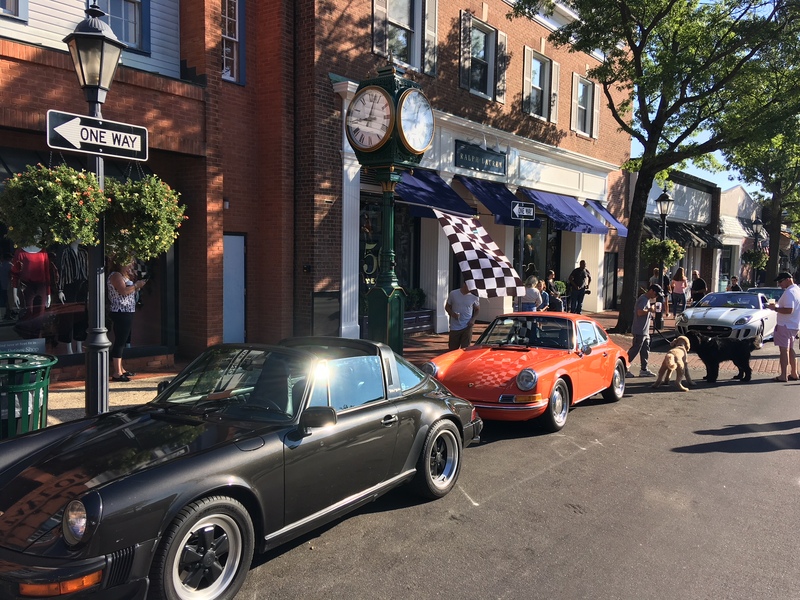 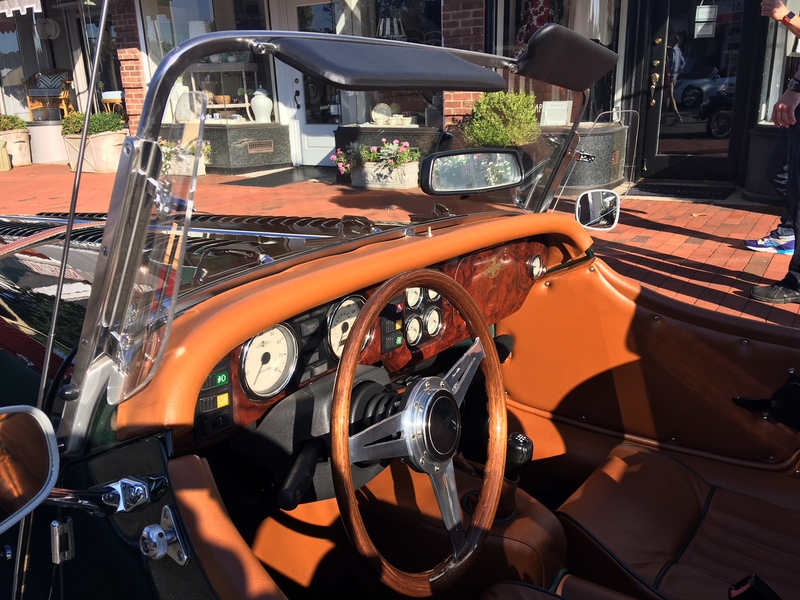 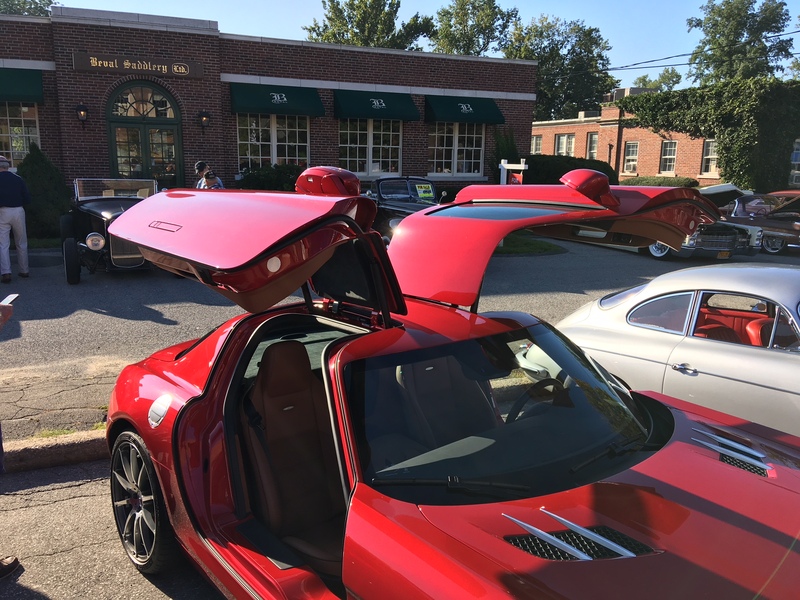 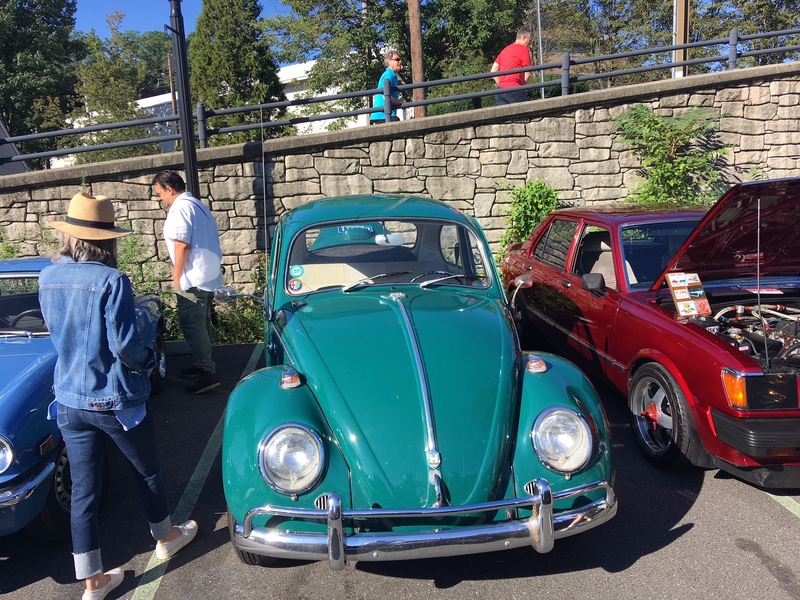 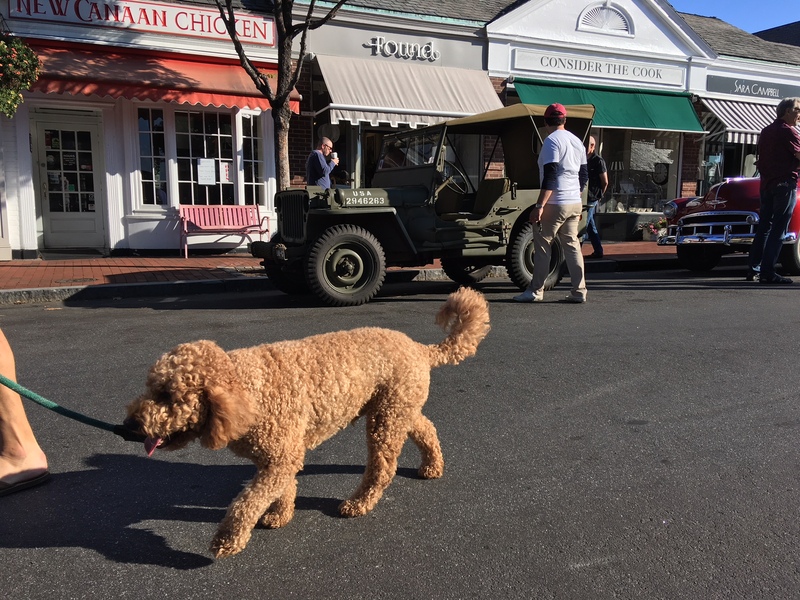 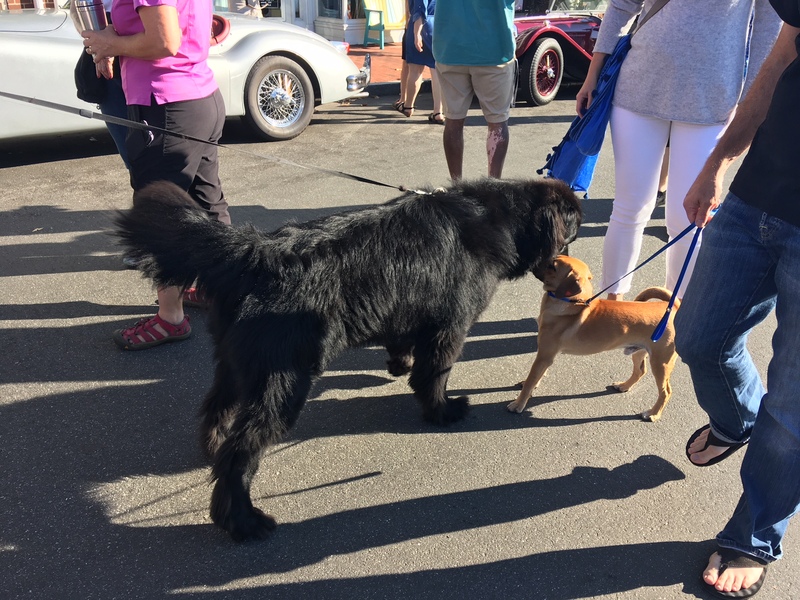 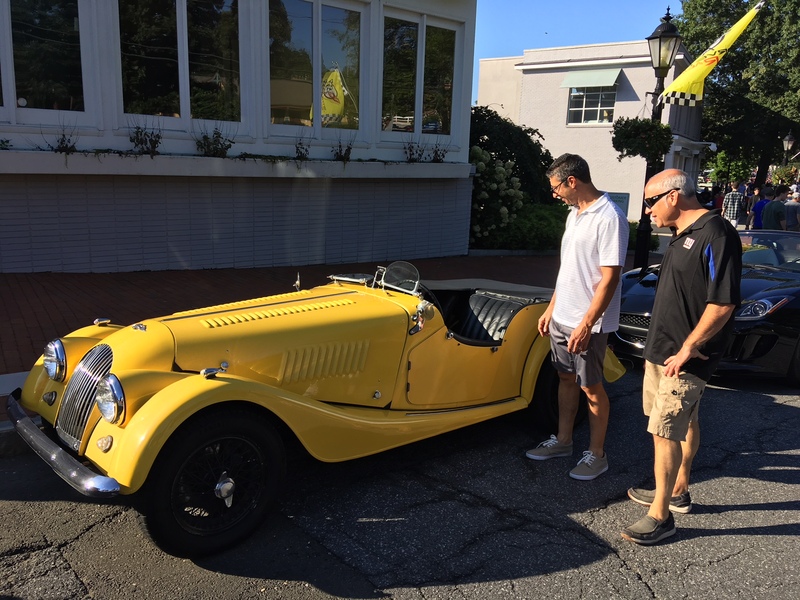 Hundreds of auto enthusiasts gathered in downtown New Canaan Sunday morning for the third “Caffeine & Carburetors” event of 2018. 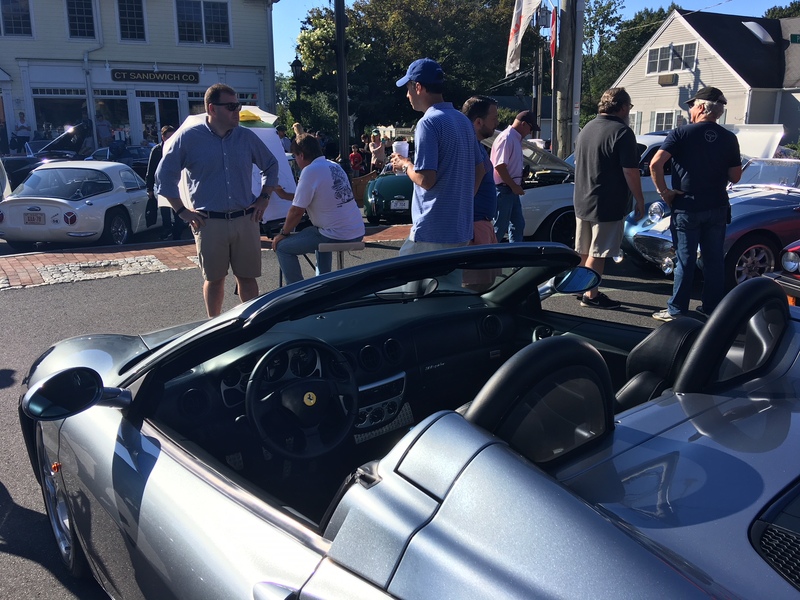 Pine Street and the one-way stretch of Elm were closed to motor vehicle traffic as New Canaan residents and visitors to town mingled over brew from Zumbach’s Gourmet Coffee, owned by C&C founder Doug Zumbach, visited tents set up by nonprofit organizations and sponsors and learned about the vehicles themselves and morning’s happenings from New Canaan’s Peter Bush, known to many locals as a longtime host on The Fox-95.9 FM. 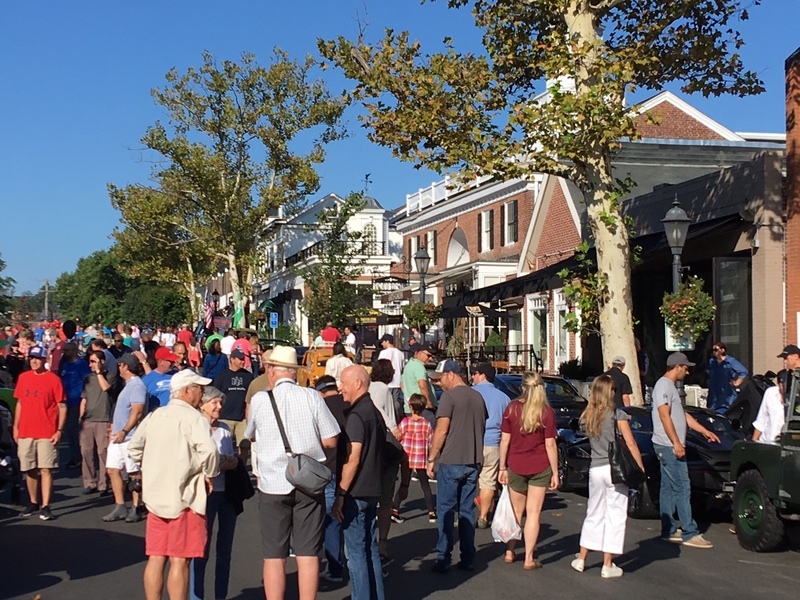 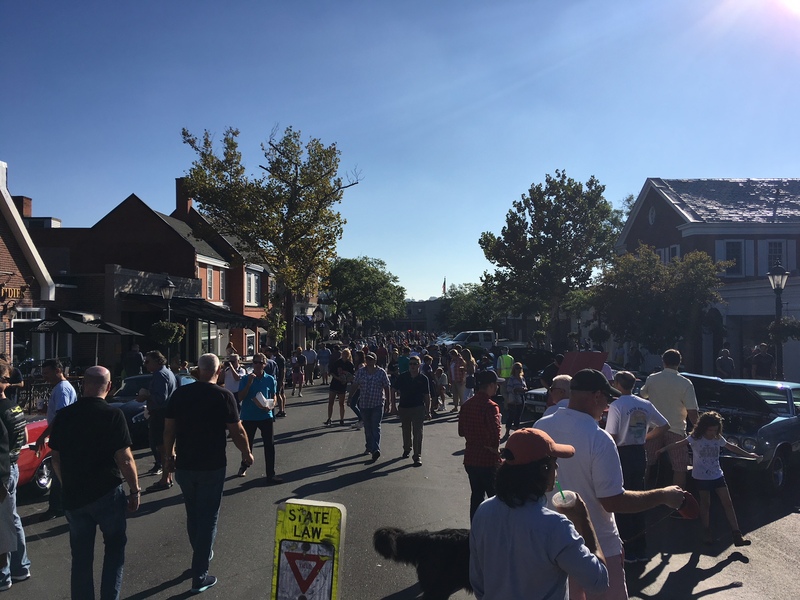 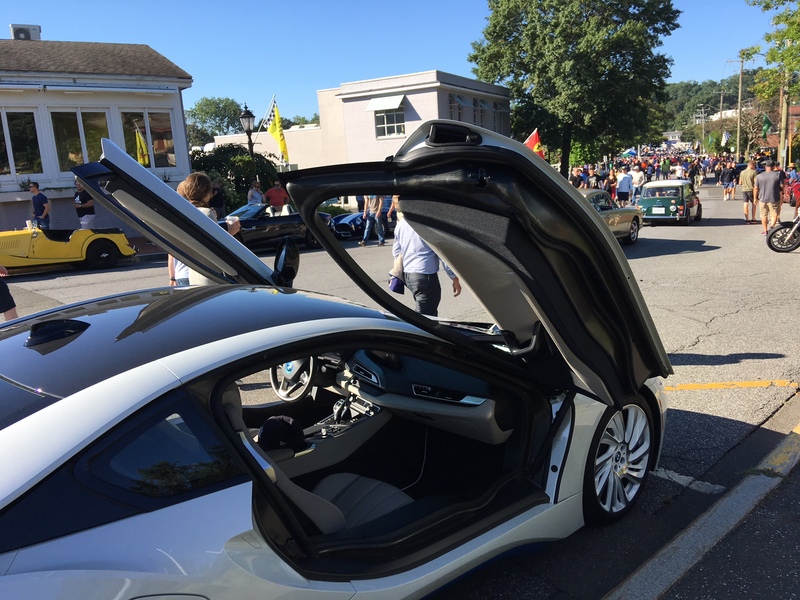 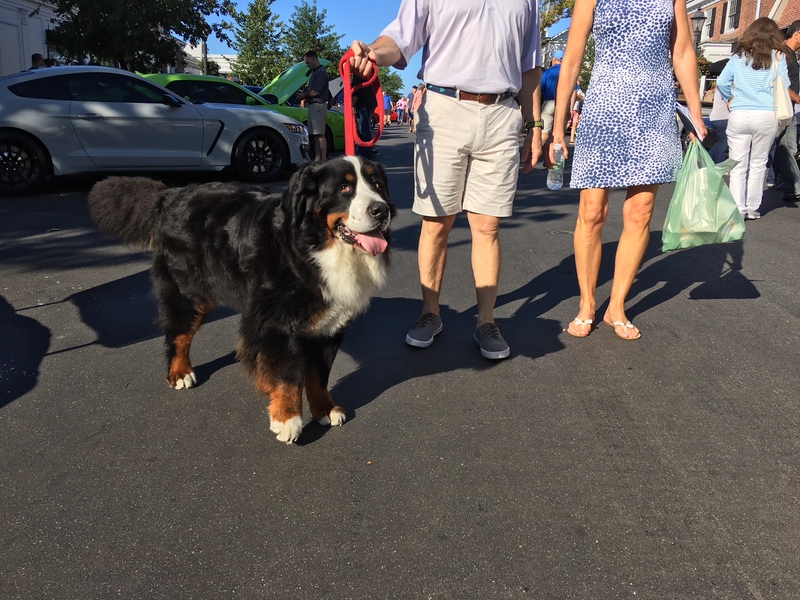 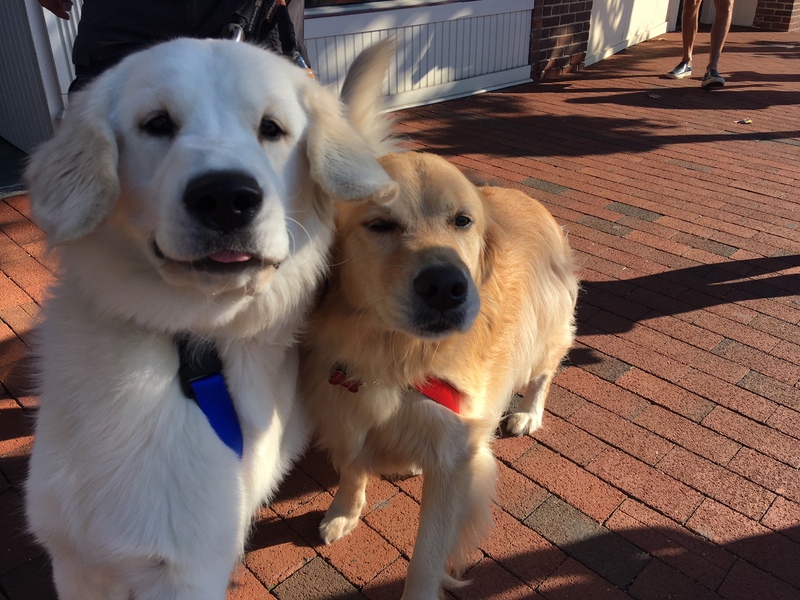 “It’s a great turnout,” C&C volunteer Matt Konspore of New Canaan said on the clear, sunny morning while guiding slow-moving vehicles out of the show. 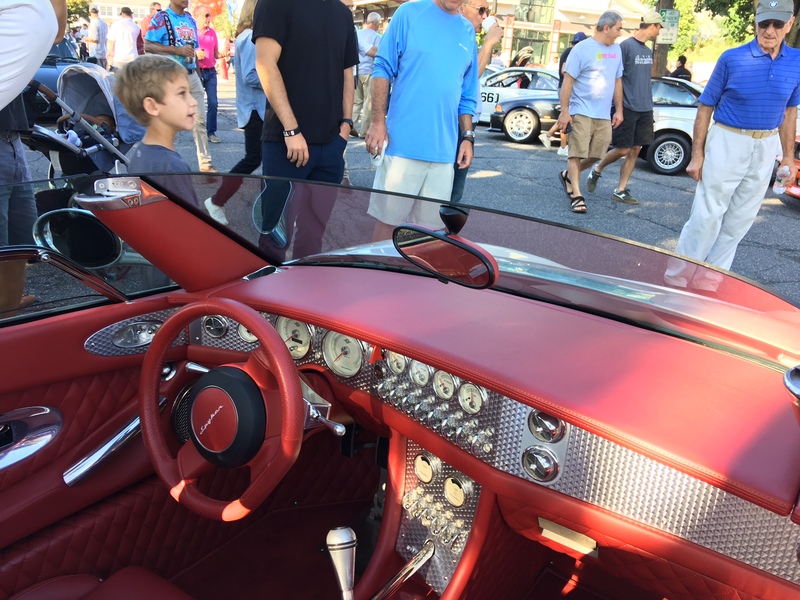 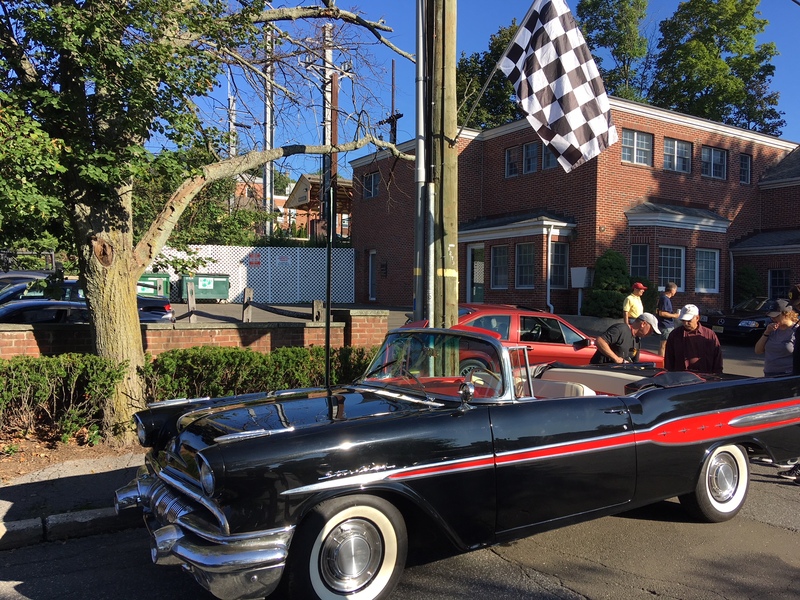 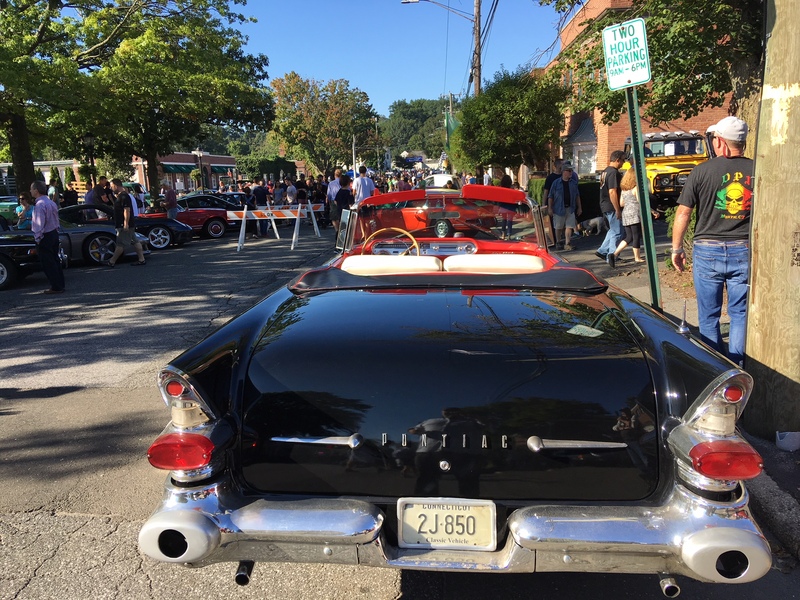 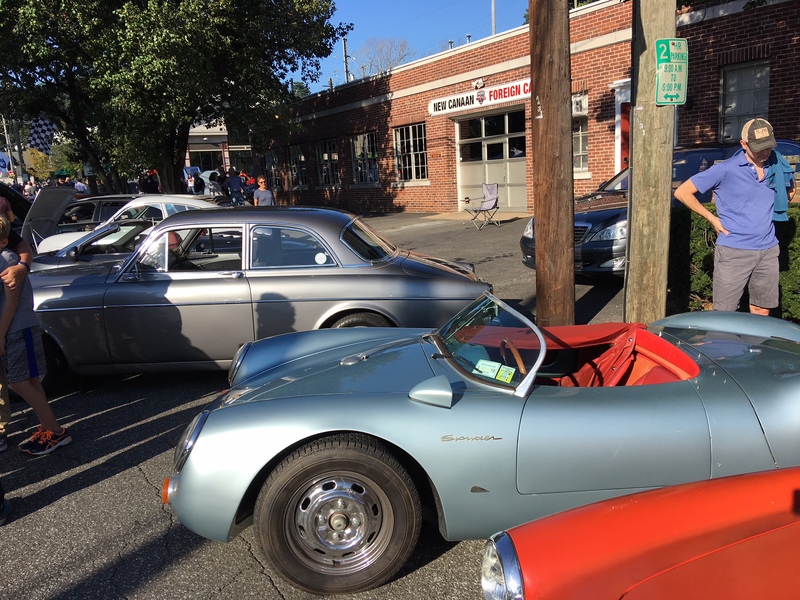 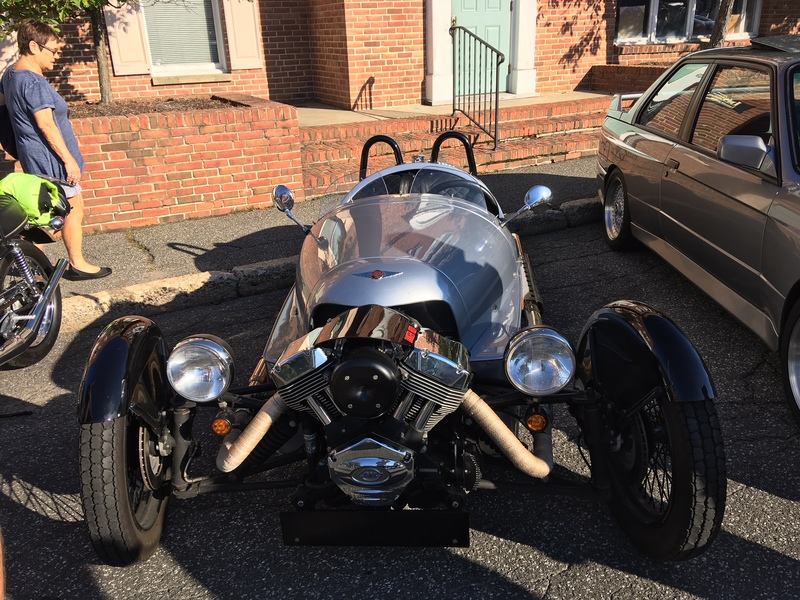 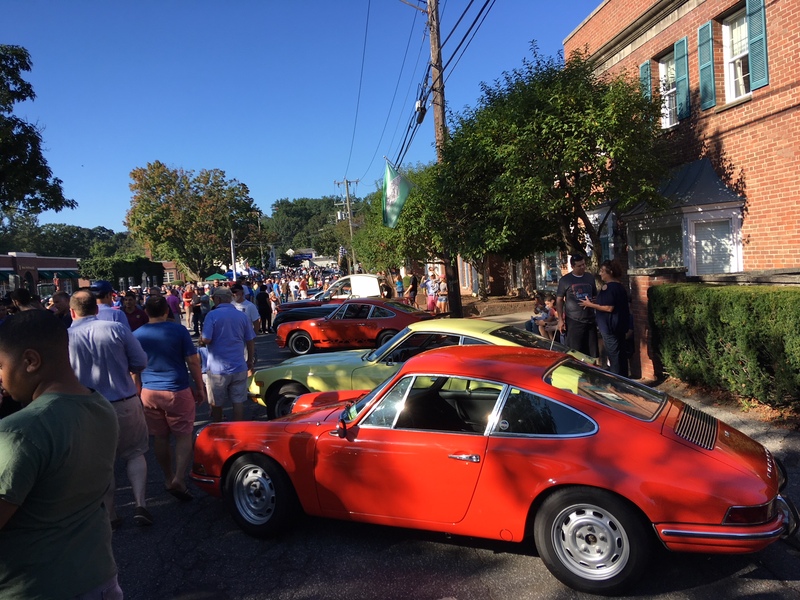 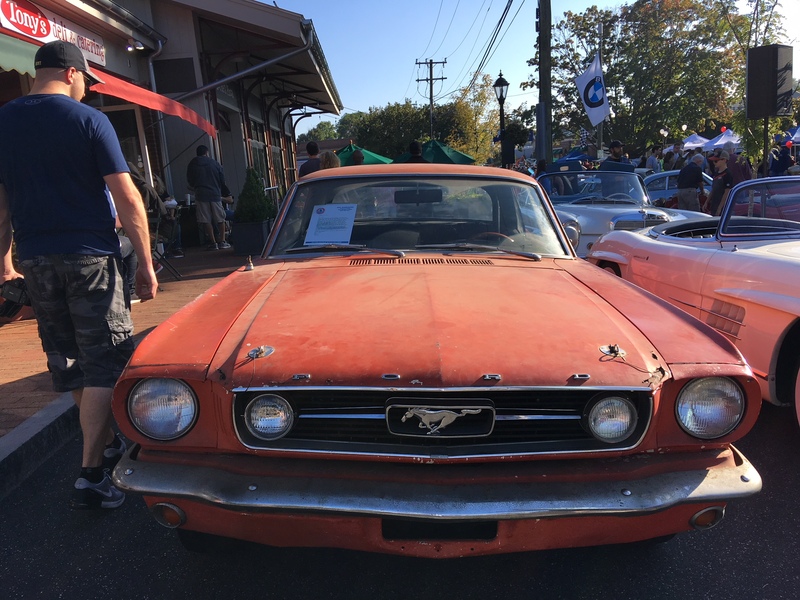 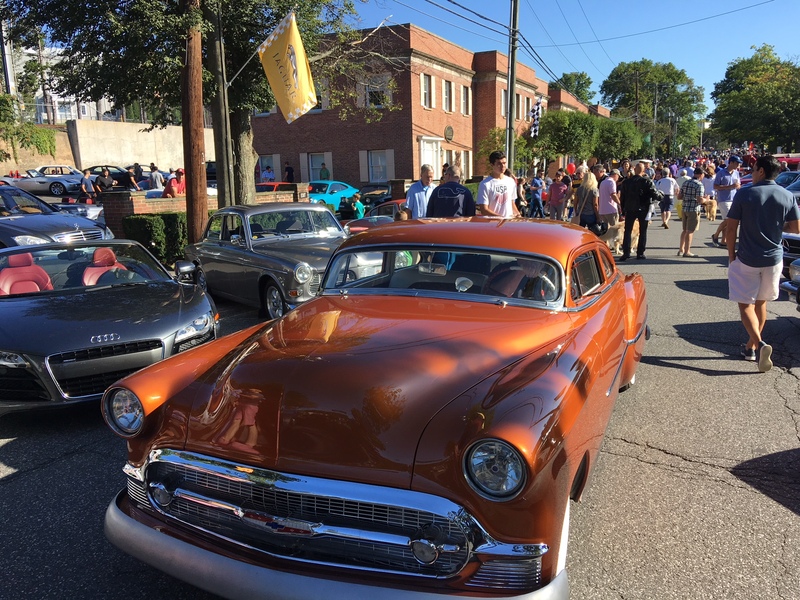 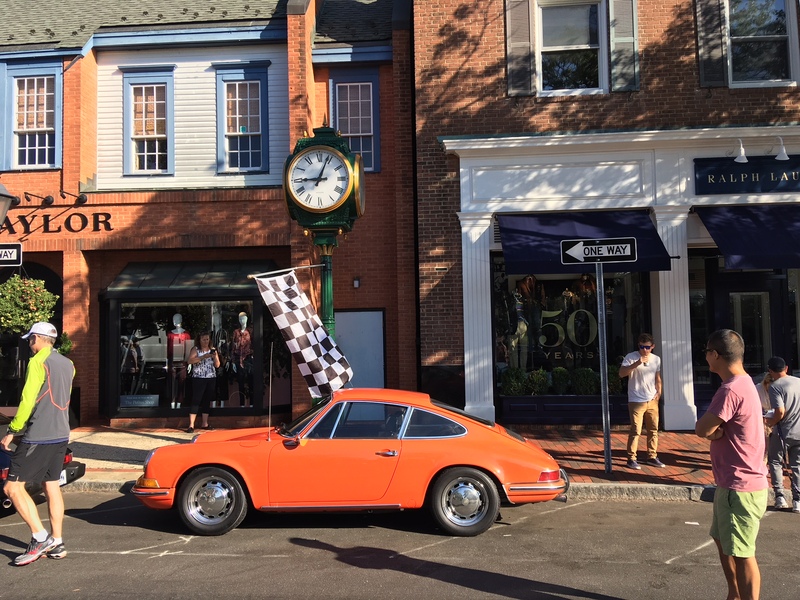 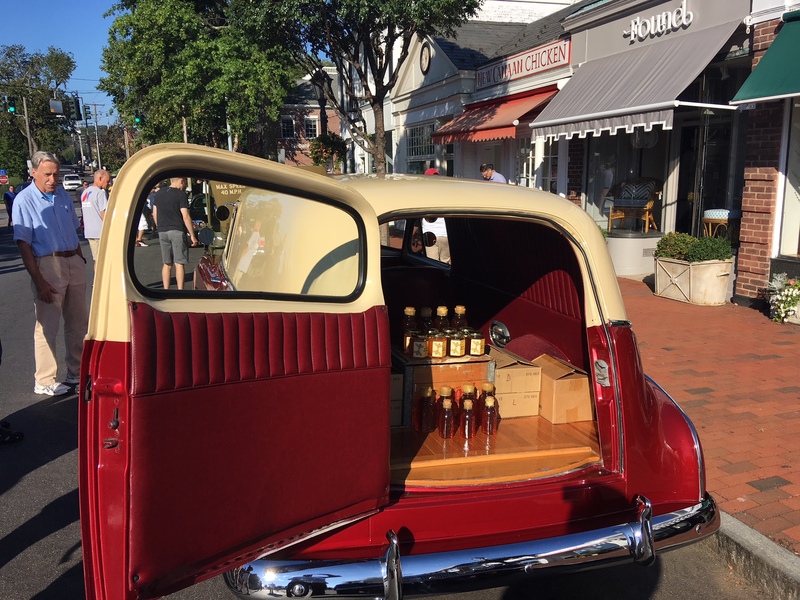 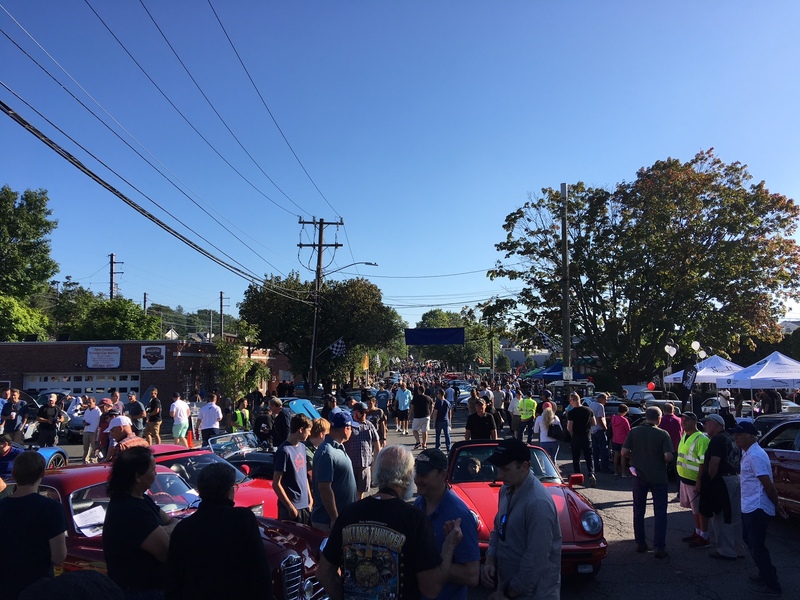 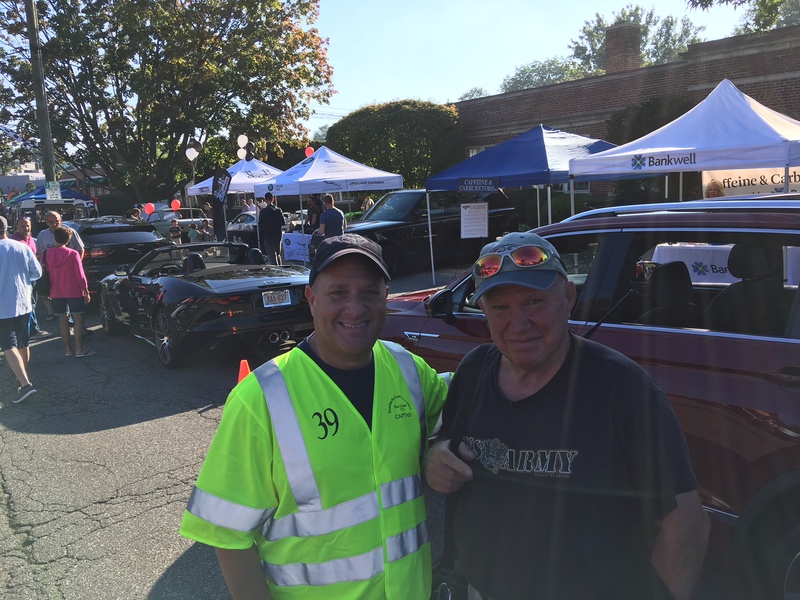 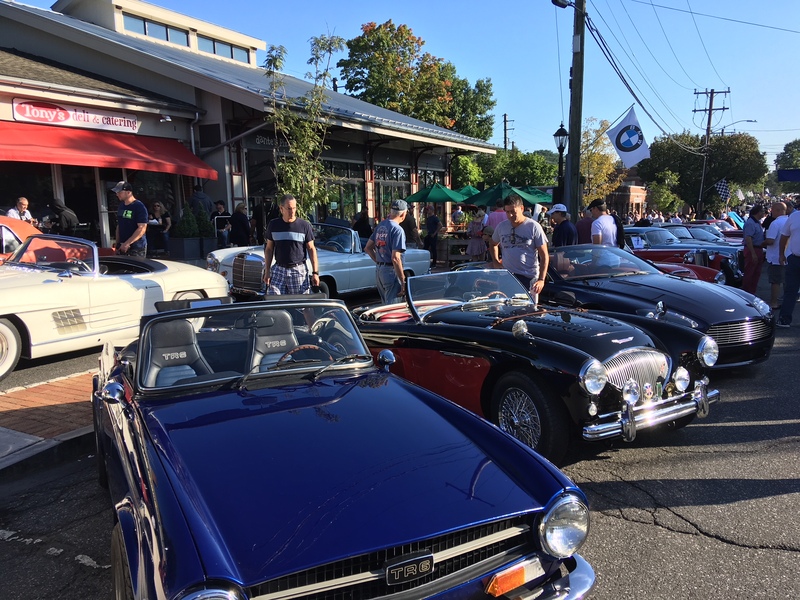 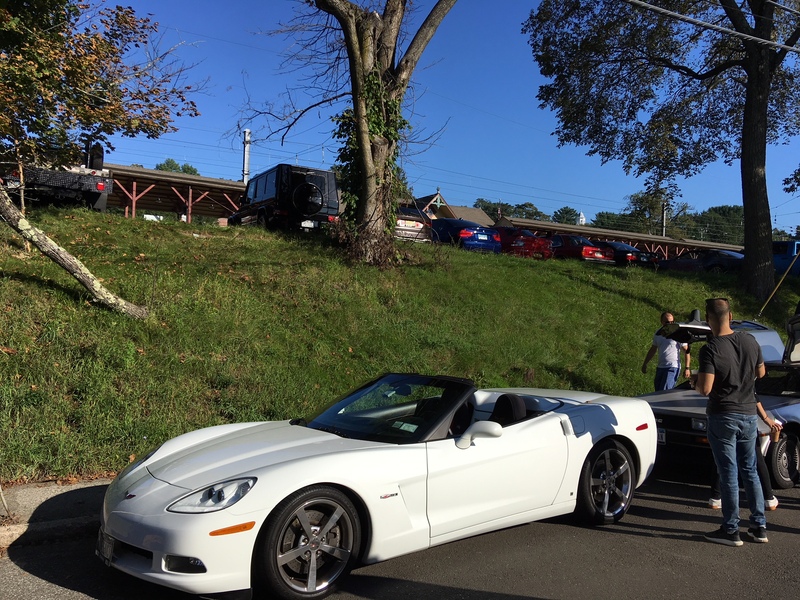 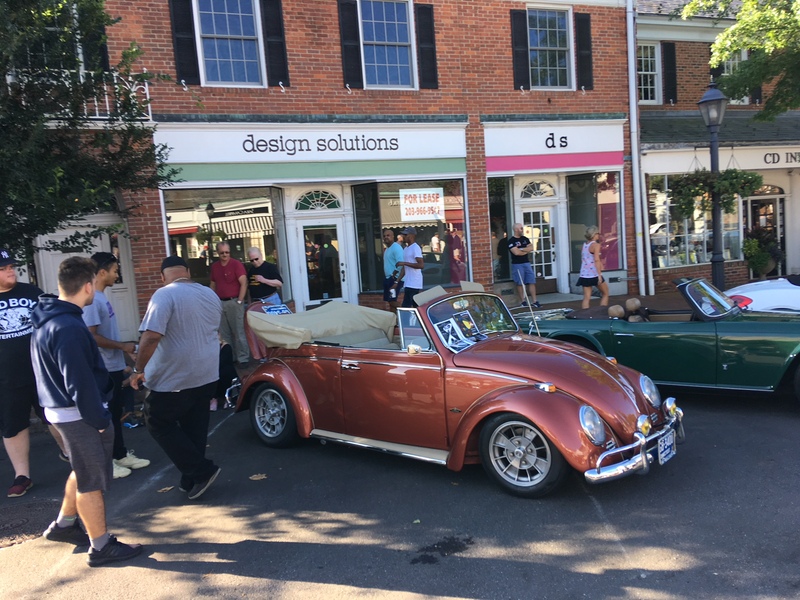 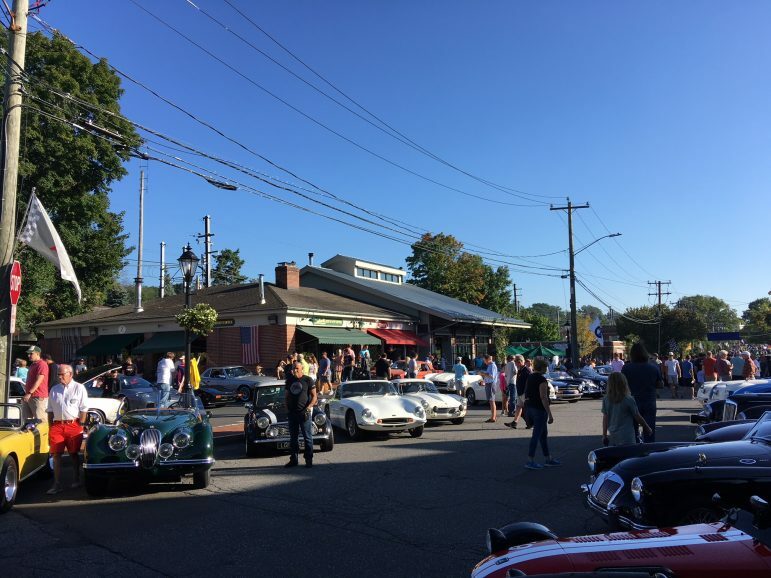 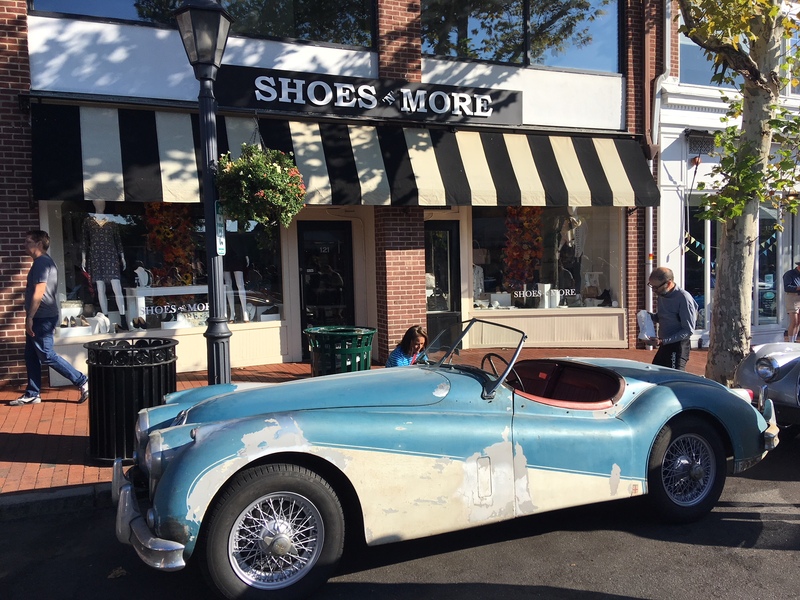 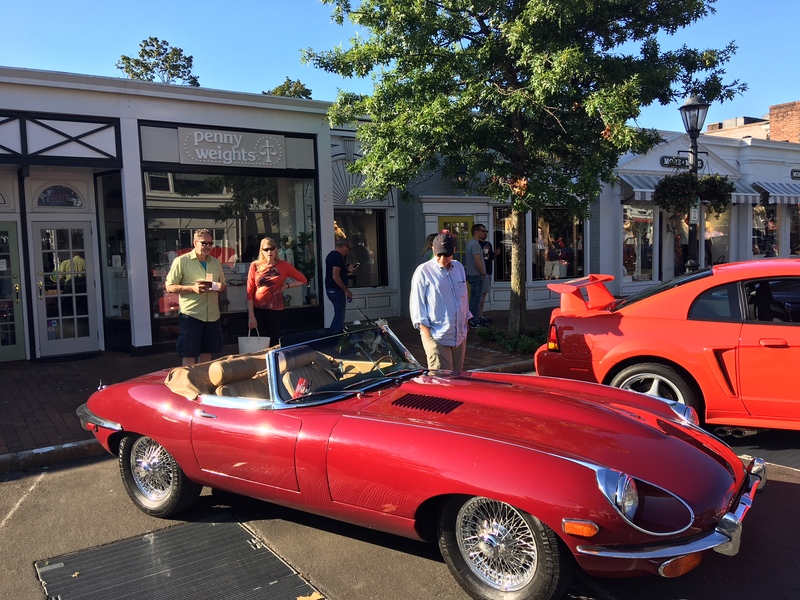 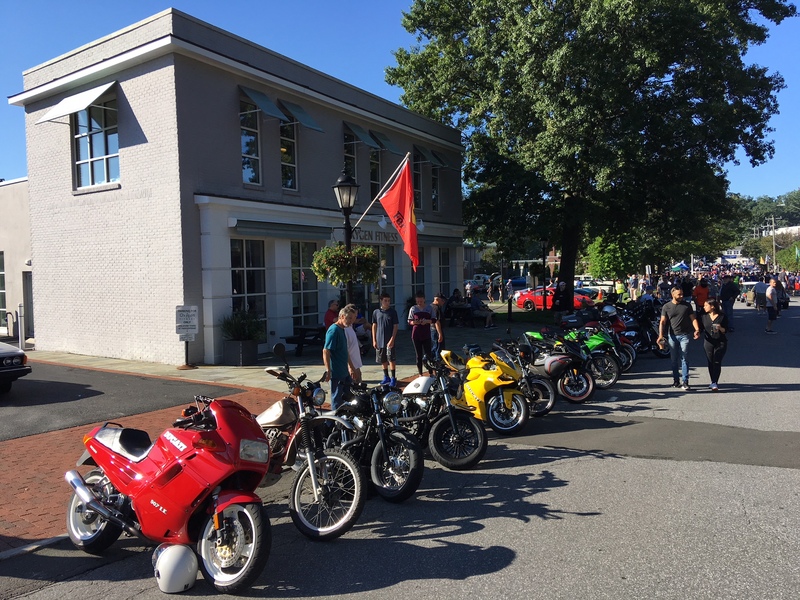 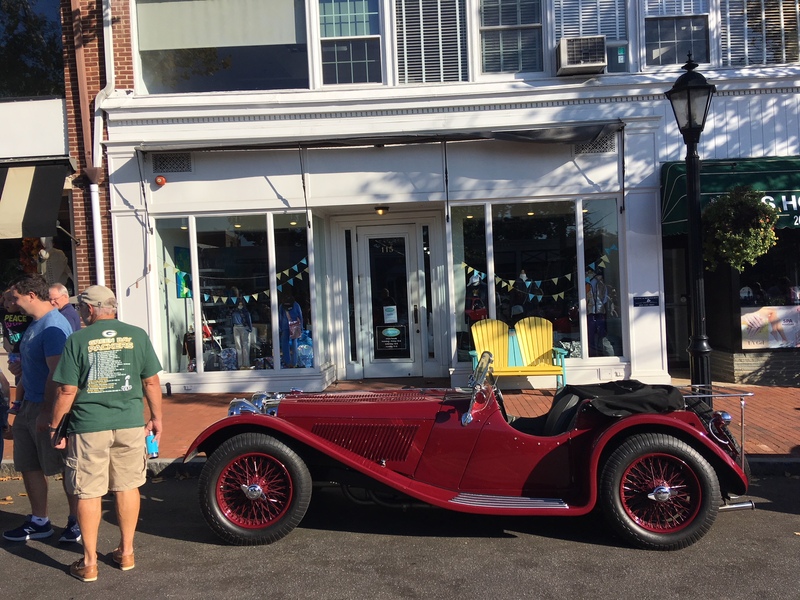 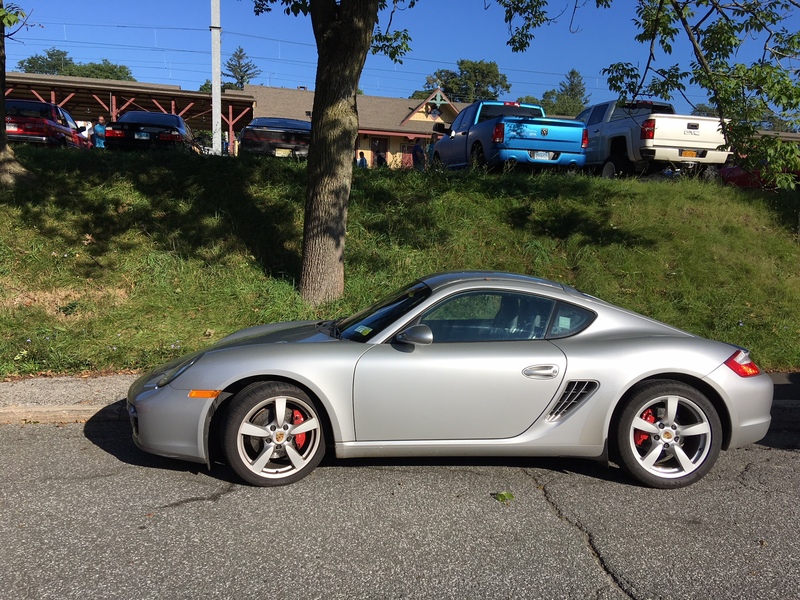 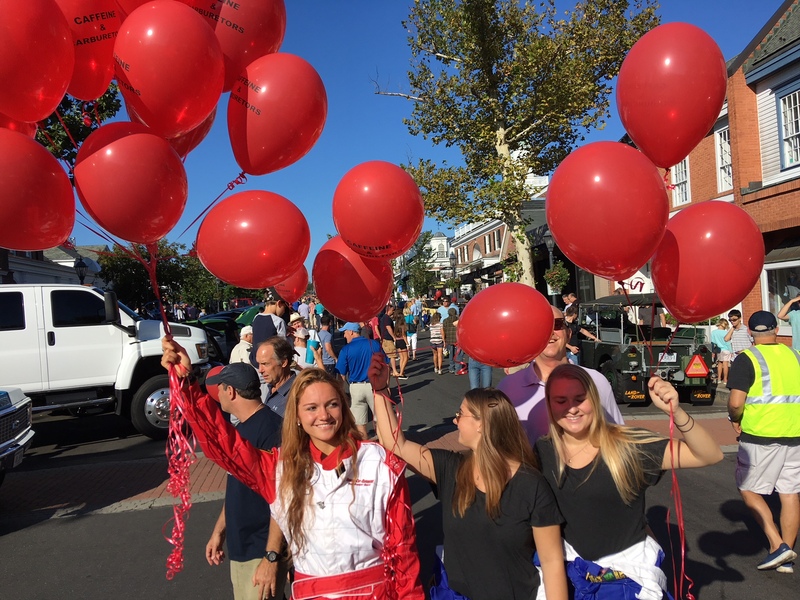 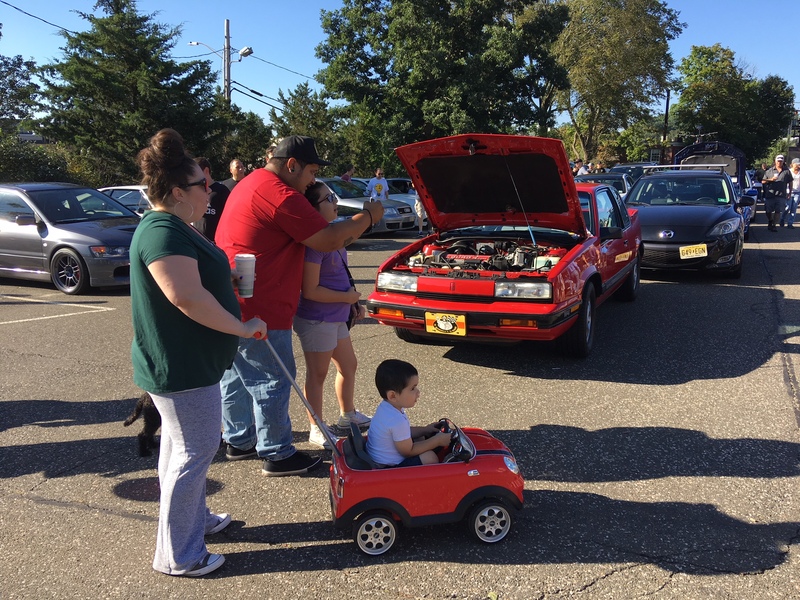 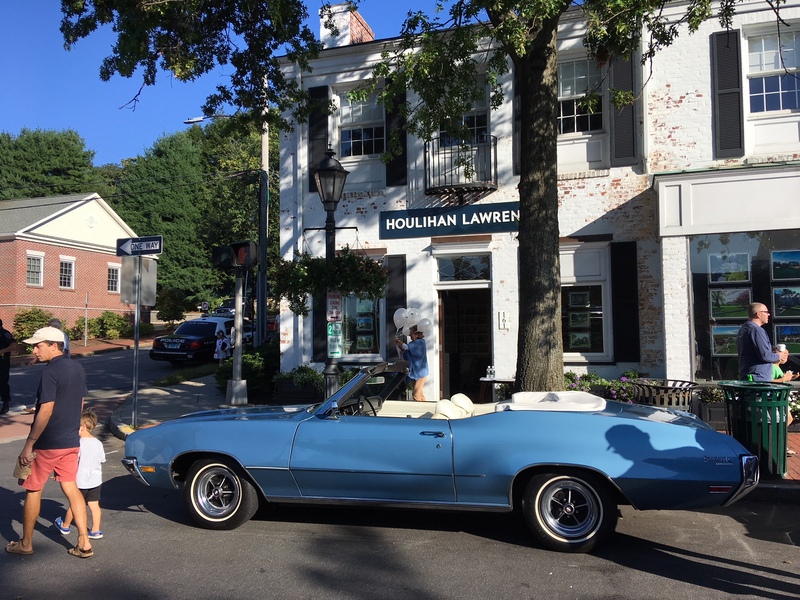 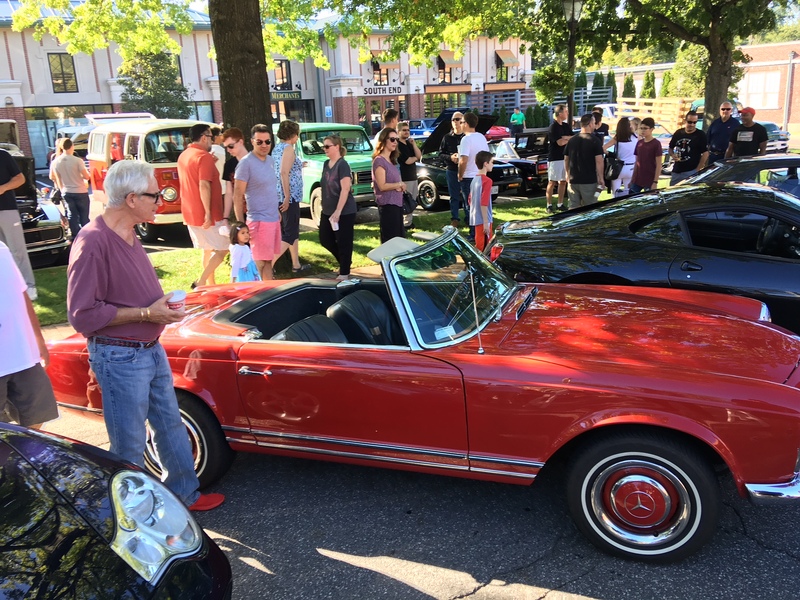 Caffeine & Carburetors will return to downtown New Canaan Oct. 21 for the final event of the year.